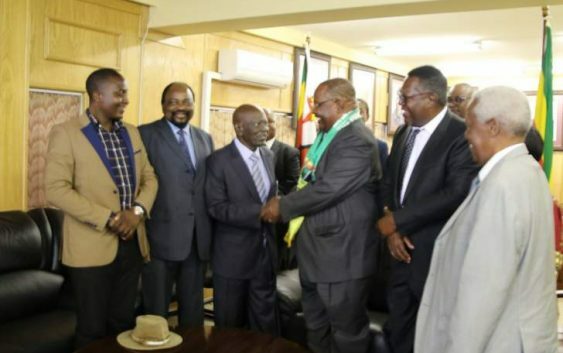 The ruling Zanu-PF party has readmitted into its ranks former members who had been expelled from the party or had rebelled against the party, These include President Mnangagwa’s uncle who is also an uncle to Temba Mliswa, the former Zanu pf Stalwart Didymus Mutasa along with Ambrose Mutinhiri who operated a break away NPF party for Mugabe and Grace to destabilise the 2018velections. Zanu pf are clearly rebuilding in preparation for 2023 elections, while opposition are still fighting amongst themselves. Didymus Mutasa says he never left Zanu pf but was forced out by deposed former president Robert Mugabe wanted to make his wife Grace Mugabe the next Zimbabwe president. WHITE FARMERS demand compensation for land not just developments,..hmn same black land their ancestors stole from blacks never compensated?